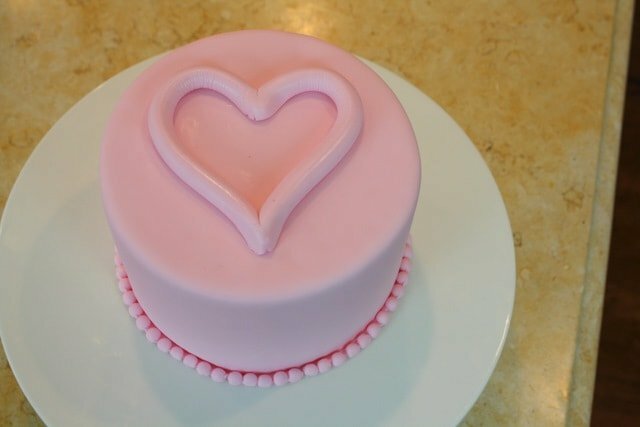 Today I’m going to share a CUTE raised heart cake decorating technique that you can take & twist to fit many different themes. 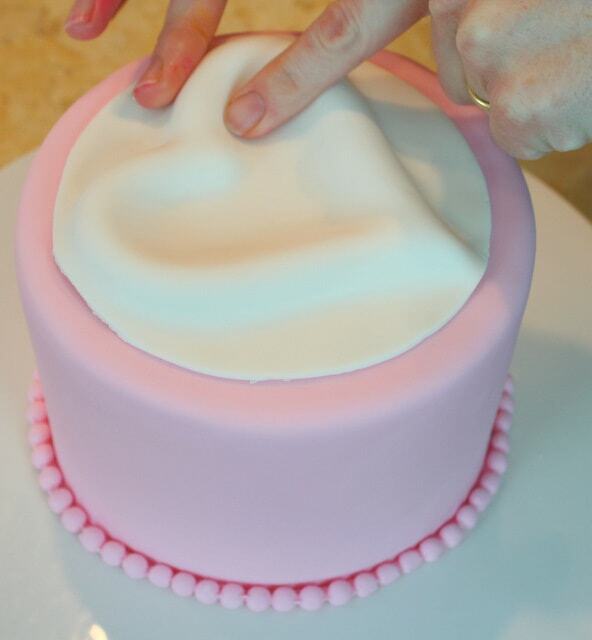 The idea is to create a raised pattern on top of your cakes or cupcakes with fondant. Today, we’re going with a sweet and simple and raised heart design that would be perfect for Valentine’s Day. 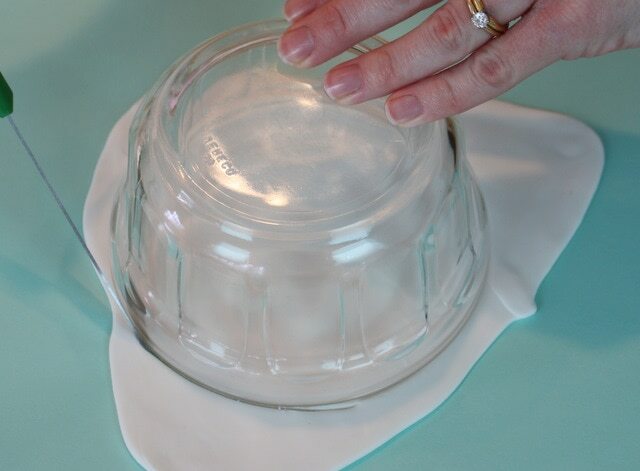 First, I’m going to make a fondant pearl border. I love silicone molds and the bead maker is no exception. 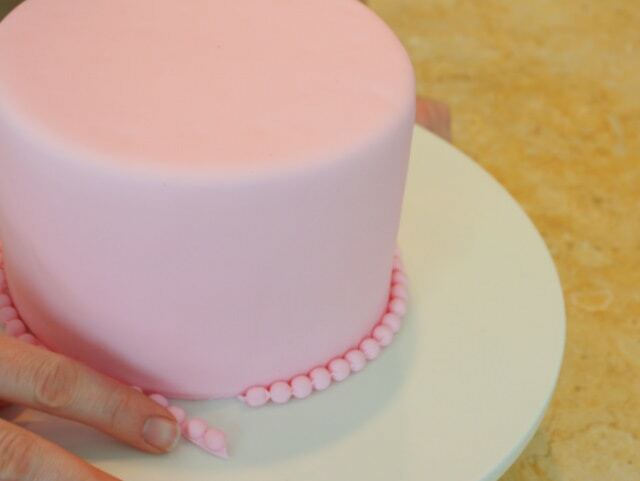 If I could get away with it, I would put a fondant pearl border around every cake! 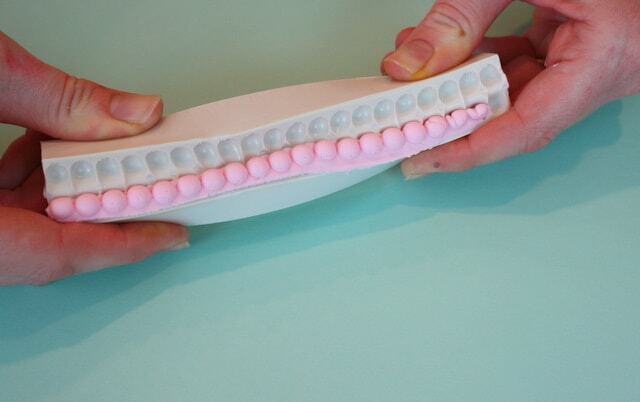 I’m using the 8mm size– you can find them at lots of online stores, including this one…CK Pearl Bead 8mm Mold. I wrapped my fondant pearl border around my fondant cake, securing with a bit of piping gel. Arrange your snake into a heart shape and attach to the top of your cake with a little bit of water or light corn syrup. Mine is a 6″ fondant covered cake. 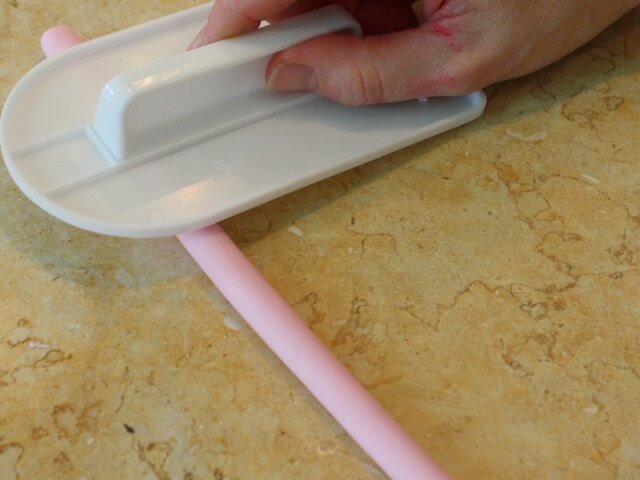 Here, I’m using a bowl that is slightly smaller than the size of the cake as a template to cut out my fondant for the top. 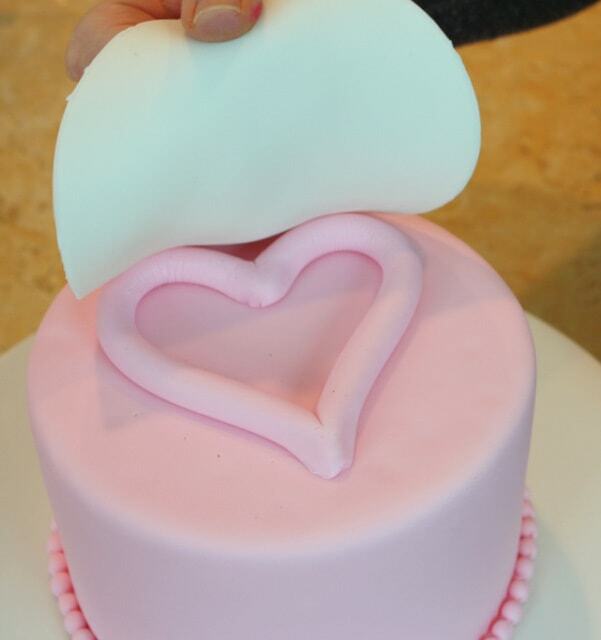 Now, lay the fondant circle over the heart and use your hands smooth and define the lines around it. 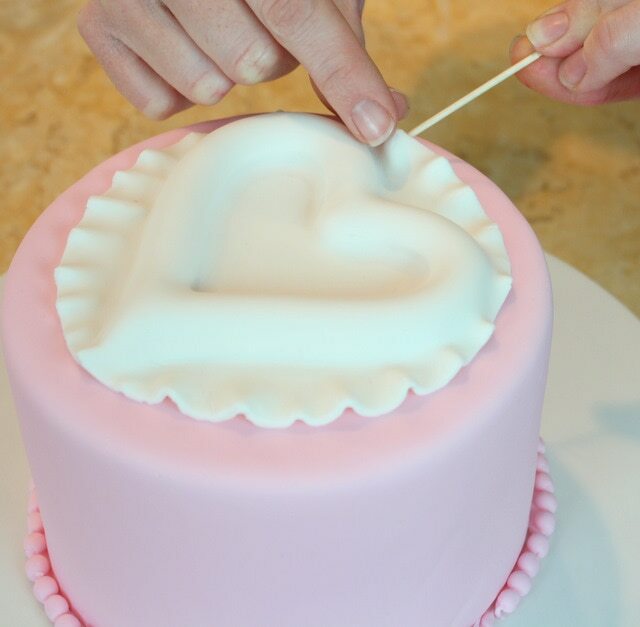 Using a toothpick, create a ruffled effect with the excess fondant by gently pinching with your fingers. I used a small ball tool to add even more definition. Now…fill the heart with sprinkles! I used pink sanding sugar and white sugar pearls. 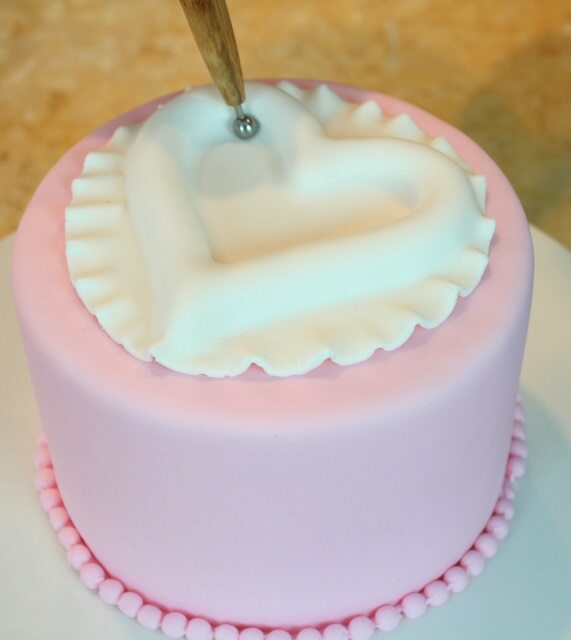 Using a piping tip 3, I piped on royal icing dots with medium consistency icing and wrote “Love”. 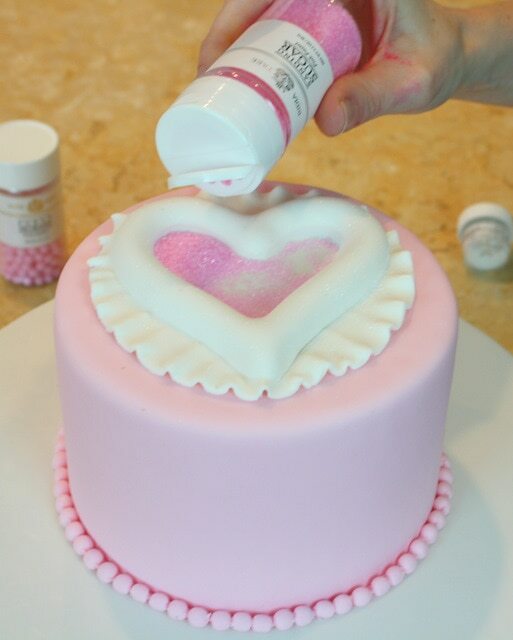 A crusting buttercream would be fine to use for the tiny hearts also. Let it Snow!- Royal Icing Snowflake Tutorial! 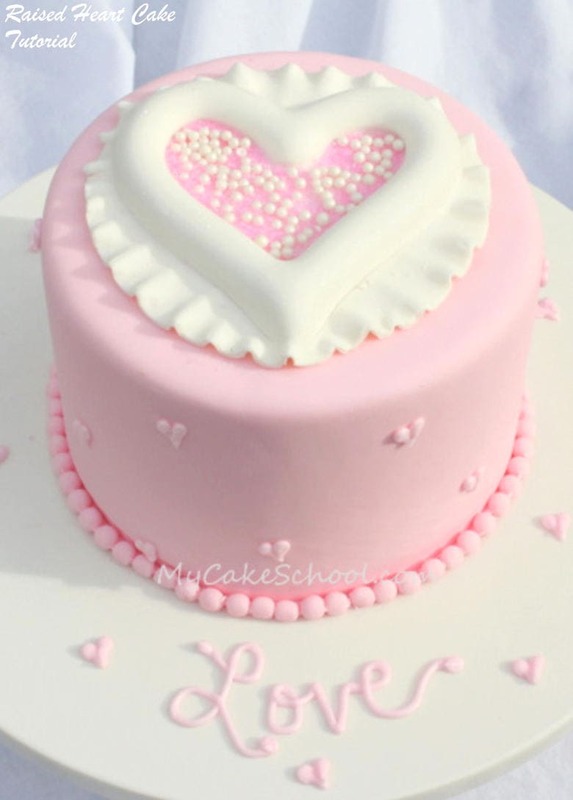 Hola, Esta preciosa la torta muchas gracias por compartir me gusta . 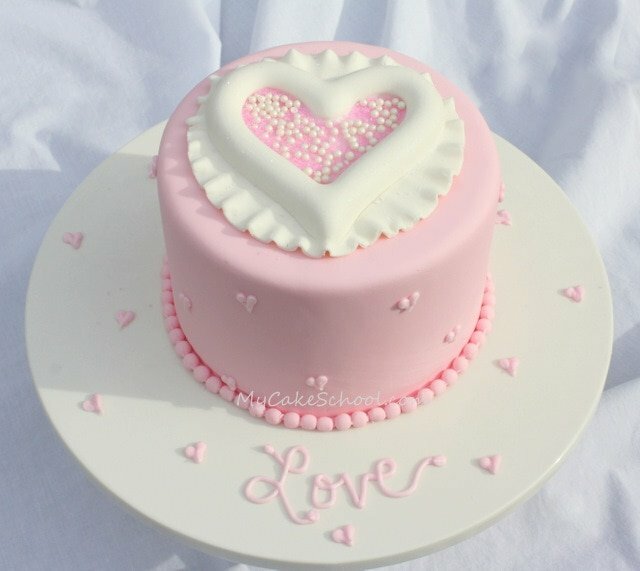 Can I use this fondant raised heart as a topper for a buttercream cake? Hi Joan- This would be fine to apply to a crusting buttercream. However, for a soft/non-crusting buttercream, I wouldn’t apply to the cake until right before the event (just because the moisture from the frosting may soften the ruffles). Glad you are making this cake!